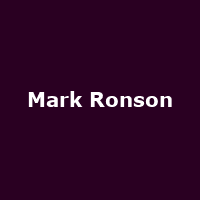 New York-based English pop/dance musician/ producer who has worked with the likes of Amy Winehouse, Robbie Williams, Lily Allen and Christina Aguilera. His own solo work includes his 2003 debut "Here Comes the Fuzz" (with the hit "Ooh Wee"), the BRIT-winning "Version" in 2007, "Record Collection" (2010), plus 2014's "Uptown Special". In 2018, he formed "Silk City" along with Diplo.